Come and learn the beautiful art of Calligraphy with Kiyoko Naish. Kiyoko is a cultural consultant in UK and Europe. She promotes Japanese culture and also business culture and etiquettes for western business people to understand the way business is done in Japan. She’s been living in UK since 1998. During her time in UK, she has done many school visits and also run cultural workshops including calligraphy, tea ceremony, origami and cooking. She also teaches Japanese language at University of Nottingham. 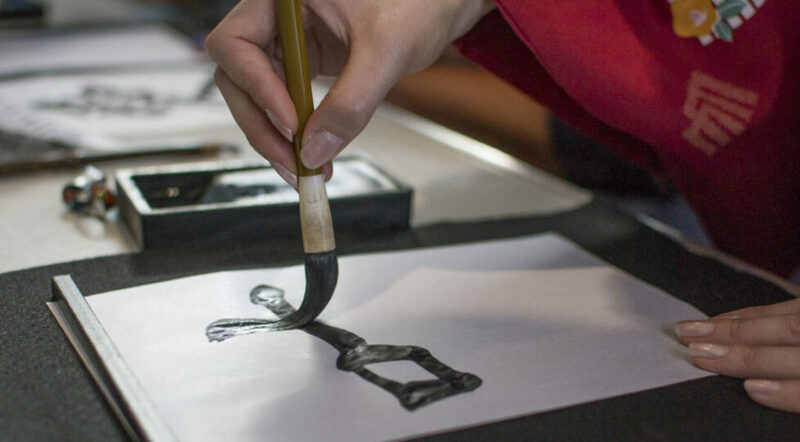 You will be introduced to Japanese Characters, learning the meaning and learn the brush strokes required to draw them in black ink. Calligraphy is a way of concentration, meditation and relaxation. You will learn how to clear your mind too. The workshops will last approximately 1 hour.